A variety of therapeutic interventions can help couples develop the tools for a successful relationship. Yet many practitioners begin seeing couples without extensive training in couples work. To fill this gap in their therapeutic repertoires, noted couples therapist Michele Harway brings together other well-known experts in marriage and family therapy to offer the Handbook of Couples Therapy, a comprehensive guide to the study and practice of couples therapy. The book's chapters provide a variety of perspectives along developmental, theoretical, and situational lines. Recognizing the need for clinically proven, evidence-based approaches, chapters provide detailed coverage of the most effective treatment modes. Couples at different stages of the lifecycle feature prominently in the text, as do relevant special issues and treatment approaches for each stage. 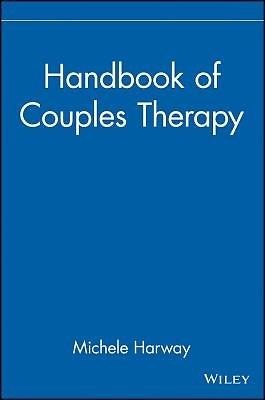 Providing a diverse set of treatment approaches suited to working with a wide range of adult populations, the Handbook of Couples Therapy is an essential resource for mental health professionals working with couples.